After my first solo trip to Istanbul Turkey it turned into one of my favorite cities in the world. Istanbul is a fascinating mix of ancient and modern. The first time I visited on my own I stayed in the Sultanahmet district due to the abundance of historic sites within walking distance and the availability of cheap accommodation. If luxury is more your style try the Four Seasons in Sultanahmet, it used to be a prison a century or so ago. When you’ve seen all the sites or just need a break you can spend some time eating, drinking, and shopping your way through Sultanahmet. 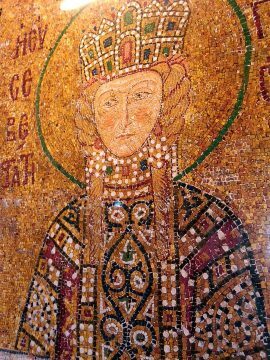 I have visited Istanbul in spring, summer, and autumn with my favorite being the summer visit in late June 2008 during the International Istanbul Music Festival. That year Turkey qualified in the UEFA Euro 2008 and I became a football fan (soccer in US & Canada). Both locals and tourists packed the outdoor restaurants, cheering exuberantly. 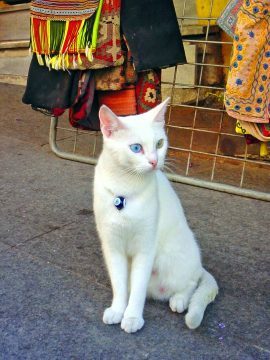 I found the people of Istanbul extremely friendly, especially for such a big city. Because Istanbul is a big tourism destination they do cater to tourists, and the Turkish are warm and welcoming people. I also felt very safe walking alone daytime or night. I’m sure there are neighborhoods that one shouldn’t be walking around at night alone, particularly a lone female but I spent my time in the Sultanahmet and Taksim districts without any problems whatsoever. Taxis are readily available if you don’t feel like walking. 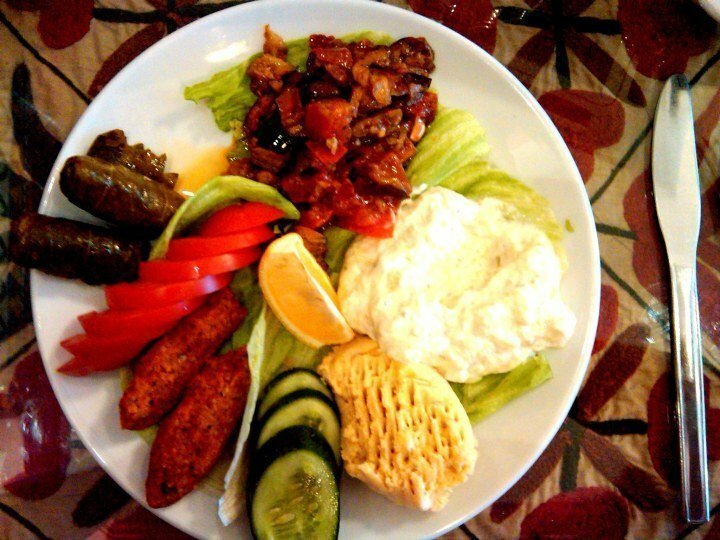 Writing this has started me daydreaming about my next trip to Istanbul – it’s been too long! Sultanahmet Mosque, known as the Blue Mosque because of the blue tiles on the walls of the mosque, is a place of worship as well as being a popular tourist attraction. 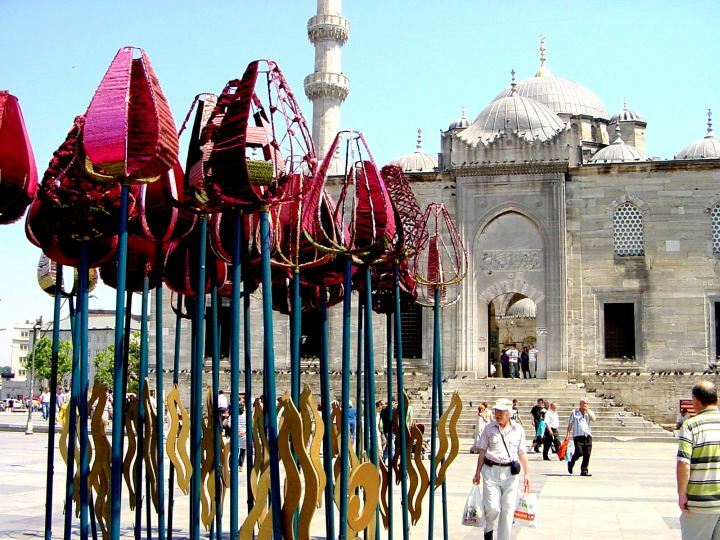 A design of tulips adorns the carpet of the Blue Mosque. Hagia Sophia is an extraordinary architectural wonder. Originally a Greek Orthodox church, later transformed into a Mosque in the 1400’s, and since 1935 Hagia Sophia has been a museum. The Archaeology Museum is full of interesting artifacts including the first love poem, written in cuneiform script. 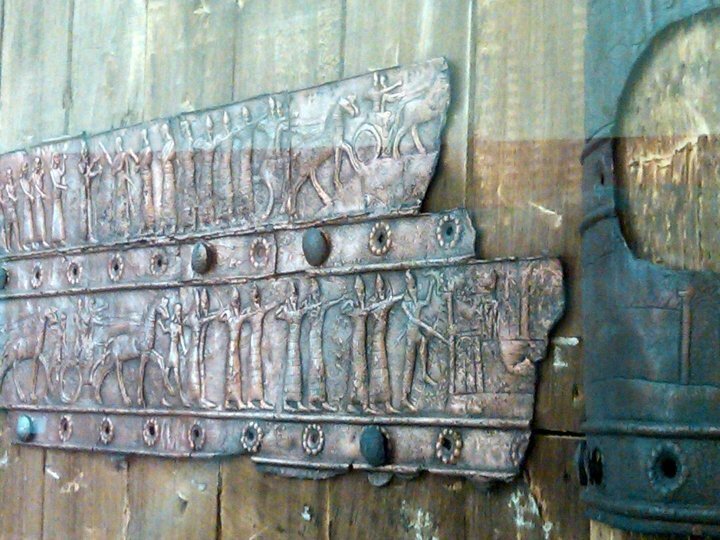 You can also see the Gate of Ishtar at the museum. 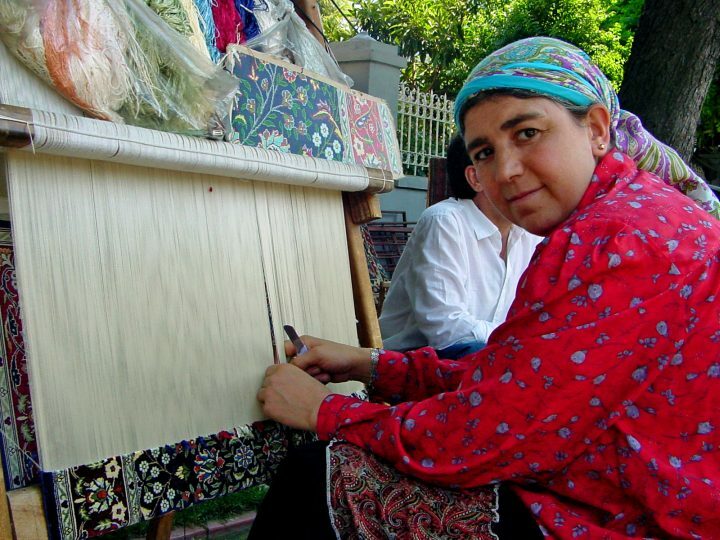 There are dozens of shops selling beautifully hand-crafted Turkish rugs in Istanbul. 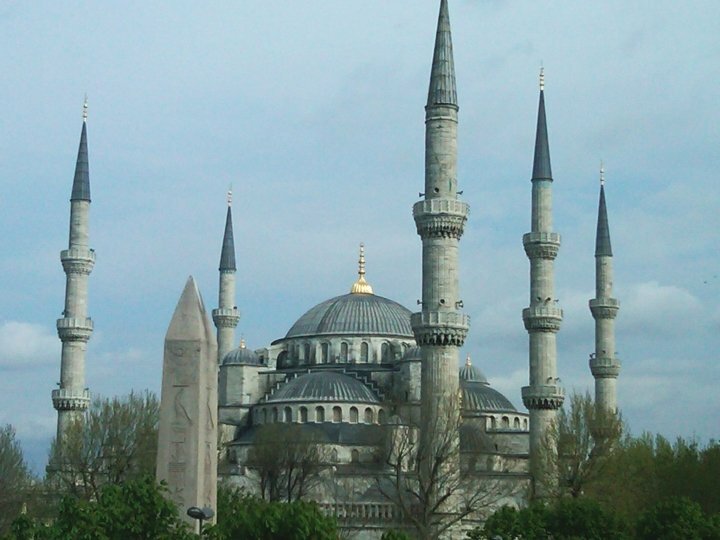 Istanbul is truly rich with history – the New Mosque is only 400 years old. 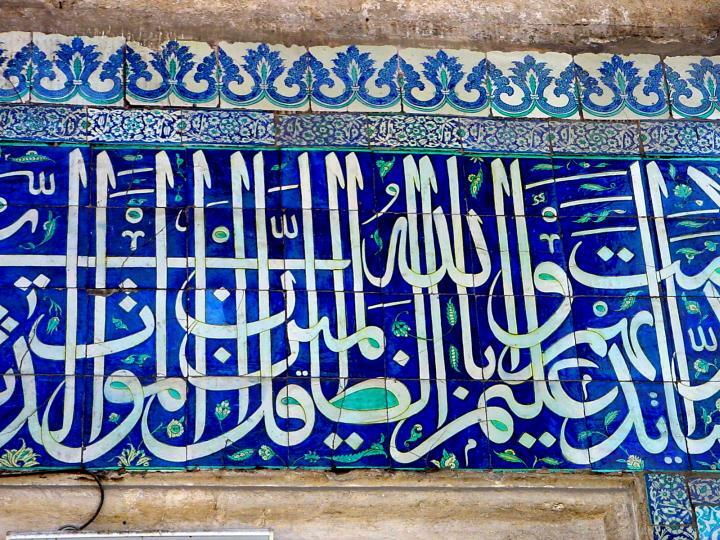 Tiles at New Mosque in Istanbul – it is over 400 years old! 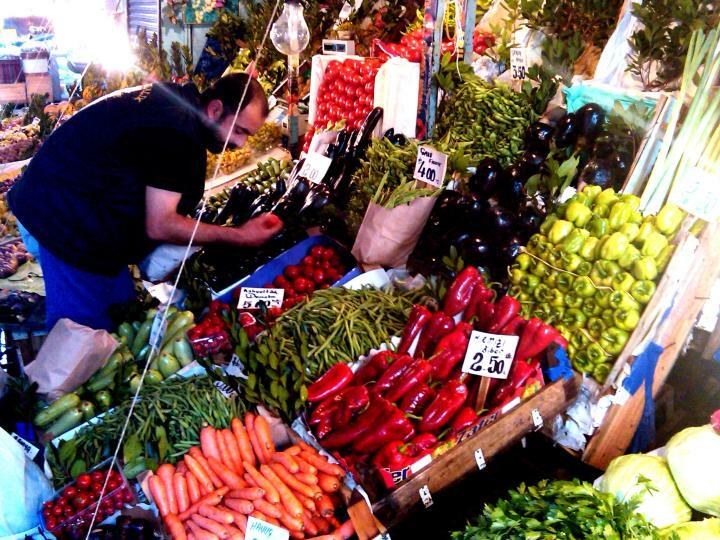 There are little markets along the street with assorted fresh vegetables. Tired of walking the streets? 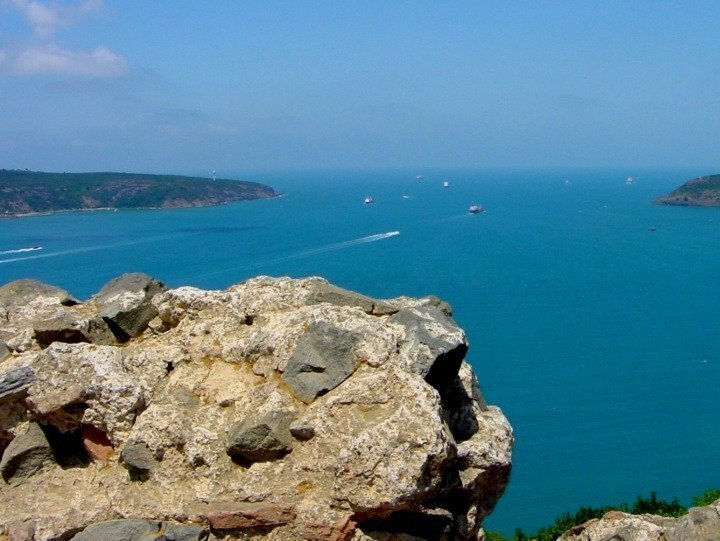 Just hop on one of the many ferry boats and take a break – you can skip over to the Asian side of Istanbul for a change of scene or tour the Bosphorus to the Black Sea. April is tulip season in Istanbul – gorgeous blooms are everywhere along the roadways and in raised planters around the city. 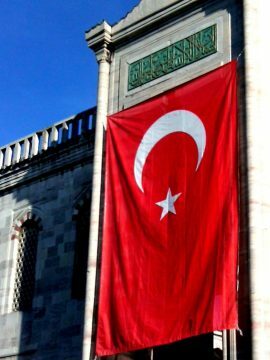 I hope you enjoyed this post and please share a bit of Istanbul with others especially anyone looking for a great solo trip! Wonderful, I love susfotos Istanbul, gorgeous tulips! Thank you Leovi! My next big trip is to Barcelona, I am thinking I will love it as much as Istanbul! The blue mosque , its coloured tile-work, the tulips etc are so beautiful. Istanbul is unique. I think Istanbul is one of the most beautiful cities of the world! oh my goodness. turkey is still on my bucket list even though i’ve seen a little part of it. i haven’t been to istanbul and i’m dreaming of visiting. I do hope you get to see Istanbul – it is such a remarkable city. MORE delicious food! And other pretty pics. Who doesn’t love Turkey. Would love to visit someday. 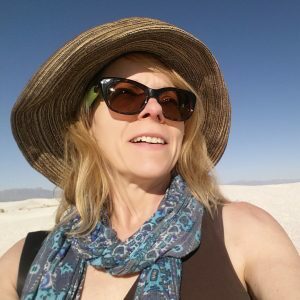 Thanks for your visit to my blog Susan! Thanks Salma! I’m looking forward to keeping in touch via your blogs. Oh my goodness! Now you’ve made me add this to my bucket list! Gorgeous photos and intriguing places to visit. Good to hear that Leslie! I hope you go to Istanbul and enjoy it as much as I did, it is a fascinating city. Thanks for the article and great pics! I’m visiting Istanbul for the first time in October and just starting to investigate for the trip. Have fun in Istanbul Shelley! There’s so much to see and the people are very welcoming – I hope you love Istanbul! Hi Susan, I’m a native New Yorker and I tell you, after 2 trips to Istanbul, I wish I had the bucks and language skills to live there. It’s just breathtaking ! 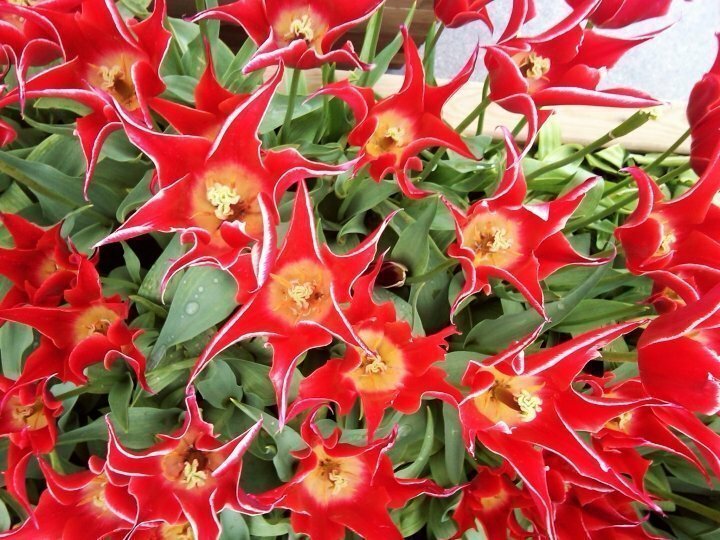 PS….went in May 2009 and it was the tulip festival. I thought I was on Psyllisybin. Unreal !